Although most lumps are harmless it is impossible to tell what sort of lump you are looking at. There are many different things that can cause swellings - bruising or fluid build-up, abscesses, things attached to the skin (eg. small parasites) and, of course, cancers. If you find any unusual lump or swelling on your pet you should ask your veterinarian to check it out. Although most lumps are harmless, some can be very dangerous if left untreated, of particular concern are cancers. How can you tell if a lump is cancer? You can not tell whether a lump is cancer or some other kind of swelling just by looking at it. Your veterinarian will examine the lump to see if they think it is suspicious. They will also examine your pet to see if they are healthy and if there are any other growths present. Some cancers make animals unwell. If your pet has a lump and shows signs of illness (eg. sickness, depression or excessive drinking), then it is important for you to mention it to your vet. If your vet is concerned they will take some samples from the lump to try to find out what sort of lump it is. Taking a sample lump can be as easy as putting a needle into it to collect a few cells or it may be necessary to take a piece of the lump under anaesthetic. These samples can are examined in a laboratory and depending on your veterinarians facilities, this might be done at the clinic or be sent to an external pathology laboratory. 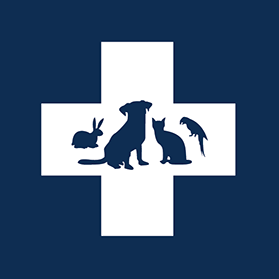 Once your vet knows this they will be able to advise you on the best treatment for your pet. Benign lumps may grow bigger but do not spread elsewhere. Some growths can cause problems if they continue to grow, such as restricting movement or breathing due to the size of a lump. Malignant lumps are aggressive lumps which grow and can spread through the body and can affect organs such as lungs and liver. Malignant growths must be removed before they spread elsewhere. In most cases, the treatment required for small growths is to remove them. However, if the cancer is malignant, your vet may want to make sure that there is no sign of spread and to do this they may need to take x-rays or perform an ultrasound examination. Does your pet need to have an anaesthetic to have a lump removed? In human medicine, skin lumps are often removed by a doctor using local anaesthetic. In veterinary medicine this is not the case as your pet must lie very still during the procedure to make sure that the entire lump is removed. Even though the lump may be quite small, just one jump or move may mean the veterinarian could miss part of the lump, or could be quite dangerous for all concerned. Your pet has had a lump for a long time (even years) should you be concerned? All lumps should be monitored. Feel the lump and notice its size on a monthly basis. If the lump changes in anyway (ie. starts to grow more quickly), is sore or discharges fluid, make an appointment to see your veterinarian. What kinds of lumps are there? Listed here are some of the most common tumours that we see in dogs and cats. Probably the most common lump found on dogs and is more common in obese pets. These are benign cancers that can grow quite slowly and rarely spread. In some cases they may need to be removed. Mast cell tumours are a type of cancer that can take on many different appearances. Whilst some are harmless and cause no problems, others can be very dangerous. It is difficult to tell if and when they change from a benign cancer to a malignant cancer, so all mast cell tumours should be removed. Whilst some lumps in the mammary glands in female dogs can be quite harmless, others are amongst the most aggressive forms of cancer. In male pets mammary lumps are often particularly nasty. In most cases, surgical removal of mammary lumps is advisable. Warts are more common in older animals and look like a small tag of skin attached to the coat. They can be irritating and in some cases require removal. These are swellings filled with a creamy matter. Often seen in older pets and found in the middle of the back. Sometimes the swellings become quite red and normally they do not cause any problems other than soreness. Histiocytoma are red button like lumps that are usually found on young pets. They usually go away as rapidly as they appeared. A watchful eye, is rewarded. Noticing changes in your pet's health, including the appearance of lumps and bumps on their coat, can lead to early diagnosis and successful treatment. Always check with your veterinarian if you notice any changes, or if you have any concerns about your pet's well-being.